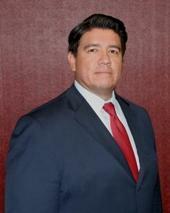 MARTIN I. MELENDREZ, ESQ., graduated in the Charter Class (2001) of UNLV’s William S. Boyd School of Law. Mr. Melendrez is licensed to practice before all Nevada state and federal courts and the Ninth Circuit Court of Appeals. Mr. Melendrez was admitted to the Nevada Bar in 2001, and is well respected among his legal peers and has a valuable understanding of Southern Nevada’s political landscape. Concentrating on commercial transactions and civil litigation, Mr. Melendrez has represented clients in multimillion dollar transactions and litigation involving real estate, business transfers and various commercial disputes. Experience in corporate entity representation, and estate planning allows Mr. Melendrez to prepare intricate business planning strategies for Small Business Owners. Mr. Melendrez has aggressively pursued client rights in Section 1983 civil rights violations, commercial disputes, complex construction issues, Nevada tax commission and negligence cases. Mr. Melendrez is engaged in community projects, pro bono work and is an avid cyclist in his spare time.